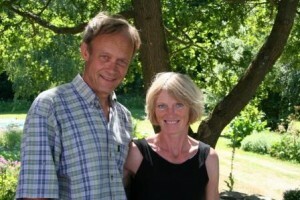 Else Marie and Carl-Johan have lived in this house for more than 30 years – having travelled extensively and always appreciated the opportunity to stay in private homes and talk to local people. Now looking forward to welcoming people from all over the world to the little homestead by the forest. Carl-Johan is an orienteerer with 30 years of experience with drawing orienteering maps. He knows the forests in North Sealand as his own back yard.